Giving back is always a good thing, especially around the holidays. I’m pretty sure if we took a poll, 100% of entrepreneurs would say they’d like giving back to be a core part of their business model. The reality of being a business owner is that the balancing act between day-to-day operations and big picture goals typically eats up the majority of your time and energy. Without a solid plan to actually incorporate philanthropy into your business strategy, it can easily fall by the wayside. But we’ve got a really good argument to not let that happen: giving back is good for your business—very good, in fact. Now hear us out. We know the whole point of doing good is to make a difference in the lives of others and not to benefit yourself. Business is about dollars and cents, though, and at the end of the day what’s good for your bottom line is good for your business. So why wouldn’t you want to take advantage of a good thing that other helps others? It’s a win-win. As we close out 2017 and head into a new year, consider these six ways giving back benefits your business. The thing about the buyer’s journey is that it’s an emotional experience, not a logical one. As much as customers want to believe they make purchasing decisions with their minds, various studies show it’s actually based much more heavily on emotion—whether a potential buyer likes and trusts the brand. Giving back in a meaningful way is one method for building that trustworthy, likeable brand image that resonates with consumers. Giving back in the form of monetary contributions has a positive correlation with shareholder wealth. 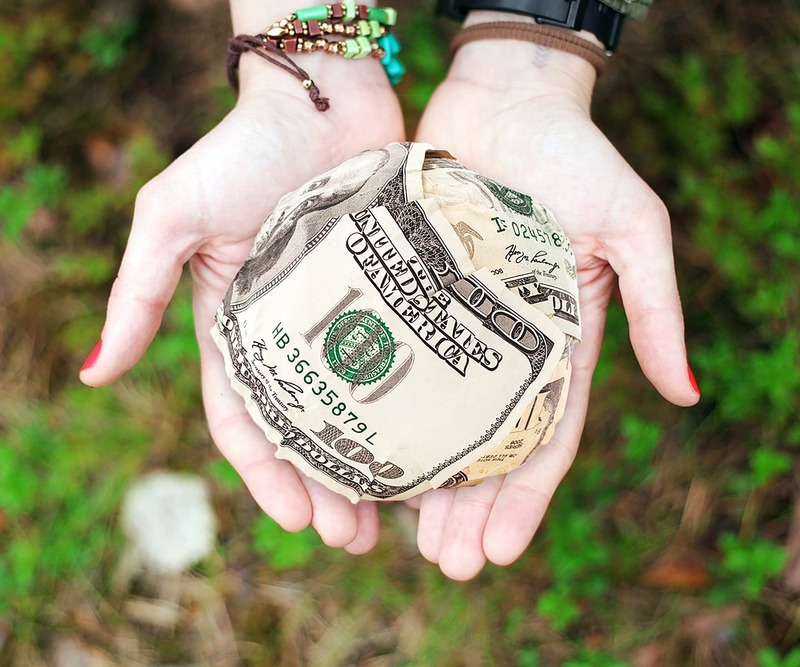 A study led by researchers from Singapore Management University and Tilburg University found that more charitable donations are associated with higher shareholder value for the largest listed corporations around the world. On top of that, charitable corporate giving is positively linked with current and future measures of firm value and profitability. To capitalize on the positive emotional benefits of giving back, look for ways to do good that are naturally connected with your brand. 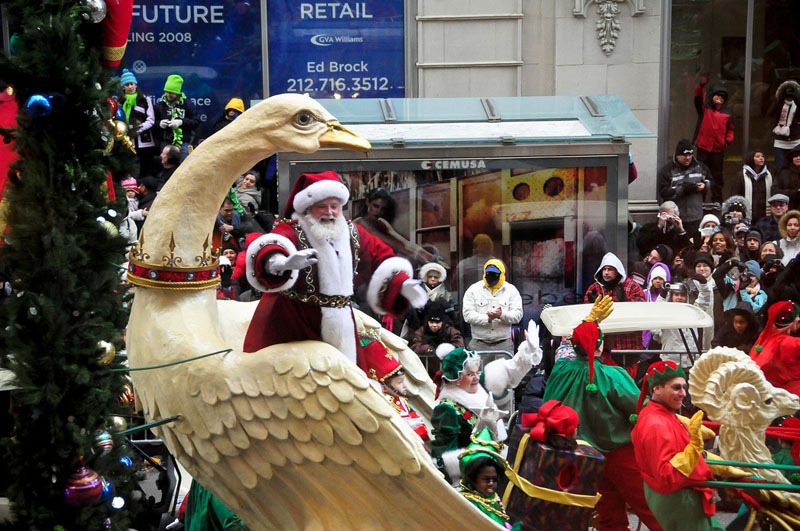 For example, Macy’s, the brand known for parading Santa Claus through Herald Square on a giant float, chose letters to Santa as the driving force behind its ‘Believe Day’ campaign. For each letter a child writes to Santa through Macy’s, the company contributes $1 to the Make-A-Wish Foundation. Not only is the big-box store associated with Santa Claus, but with holiday shopping for wish-list items, so the charitable partnership is a natural fit. Most entrepreneurs operate in a bubble. It’s sad but true. We see and interact with the same handful of people on a regular basis. Where’s the opportunity in that? Getting involved in charitable causes gives you the opportunity to meet and network with a unique group of people you might never meet otherwise. It brings together business owners, community leaders, activists and involved individuals, and you never know which one of them might be your next biggest customer. As any good entrepreneur knows, it’s 20% about what you know and 80% about who you know. Giving back can expand you network and facilitate connections you wouldn’t come across in your normal day-to-day operations. And remember, charitable organizations are always looking for corporate partners whose businesses are a good match with their target donor group. Their donor pool is whole new audience of prospective customers who have the potential to see your company in a highly positive light. If you’re lucky enough to come across a charity that can provide value to you while also aligning with your business mission, well, you’ve hit the charitable partnership jackpot. According to a small business survey by Allstate and USA Today, almost half of small business owners contribute to local charities or do community service close to home. And for good reason; giving back to the community helps make that community stronger, which in turn is good for economic conditions. Research shows that communities that prioritize things like healthy living, parks and recreation and quality of life tend to have stronger local economies. And it’s a symbiotic relationship, as a stronger economy means more dollars being cycled back into local community initiatives. In Detroit, which has long been sluggish in economic growth, Quicken Loans is working to help speed up that growth by improving the community one block at a time. The company, which was founded in the Motor City, has spent a reported $2.2 billion buying and refurbishing blighted properties and recruiting other companies to move their headquarters there. Its employees get unlimited paid time off for volunteer work. A stronger community in Detroit means a better quality of life for Quicken Loans’ employees, which is always good for job satisfaction. Giving back can also help facilitate social changes that are beneficial to the industry in which you operate. More than half of food companies surveyed in a community involvement study by the Boston College Center for Corporate Citizenship reported that community involvement contributes to securing a sustainable supply chain. About 50 percent of energy companies say community involvement helps improve risk management. Taking philanthropic steps in places where you operate makes sense for logical reasons, like a better place to live for all. But it can also have a positive impact on the reputation of your company within that same operational area. According to the survey cited above, 85 percent of firms said community involvement helps enhance their reputations in the eyes of their neighbors. When you spread the word about your philanthropic side via public relations, the impact goes even further. A positive media mention about your charitable initiative can reach thousands or even tens of thousands of people in one fell swoop. Footwear retailer TOMS Shoes rose to international popularity almost solely thanks to its “one for one” business model, which gives back a pair of shoes to someone in need for every pair purchased. Remember, positive feelings are the strongest driver of the decision to buy. On the other side of the coin, if you don’t make corporate social responsibility a priority, the effects can be detrimental. Statistics from market research firm Mintel show that 56 percent of consumers stop buying from companies if they perceive their actions to be unethical. 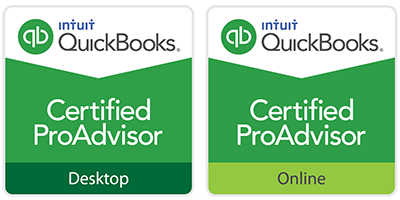 We’re an accounting firm, so you had to know we were going to bring up taxes at some point. You guessed it—giving back is a tax benefit. US Corporations contributed an estimated $18.55 billion to charity in 2016, most or all of which was tax-deductible. Most types of business can directly deduct qualified charitable contributions on their tax returns. Corporations, for example, can make these deductions directly, while sole proprietors would make them on their personal tax returns rather than the business side. Your tax-deductible contributions aren’t limited to money; you can donate cash, of course, but you can also charitably gift property or equipment (like donating an old work van to a church camp) as well as mileage accrued in relation to charitable work. Last but not least, being a socially involved company is good for employee morale and job satisfaction. When employees take part in charitable initiatives led by their company, they feel more engaged. The Boston College Center for Corporate Citizenship reports that 89 percent of companies surveyed found a positive correlation between employee participation and higher engagement scores. More than 90 percent of the companies ranked improved employee engagement among the top three benefits of having employee volunteer programs. Highly engaged employees are associated with higher productivity levels, lower costs and lower turnover. Goldman Sachs is one such company that has recognized the benefits of engaging employees through giving; in 2016 it launched an internal competition in which employees could vie for grant money to give back to the charity of their choice. Giving also looks good in the eyes of a different set of employees—the ones you’re interviewing! According to brand strategy firm Cone, prospective employees are more likely to take a job at a company they perceive as having a responsible approach to economic, environmental and social initiatives. Giving is a good thing, you can’t argue with that. And when it’s also good for business, it’s a win for everyone involved. For more ideas on how to use your company to make a difference in a meaningful way, check out our post on ways to make a difference while making money. 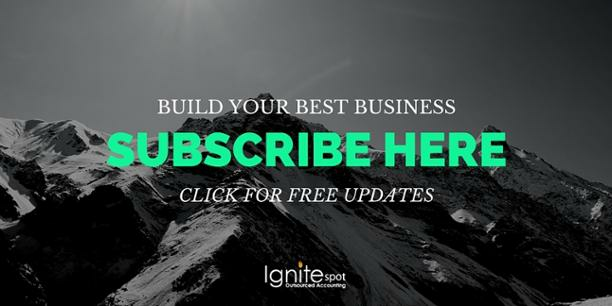 Get weekly posts on building a better business delivered to your inbox! Subscribe to our blog below.